WealthVest is pleased to announce the addition of Chris DeMale, CFA, to our team. Mr. DeMale is a Regional Consult for Illinois and Wisconsin. 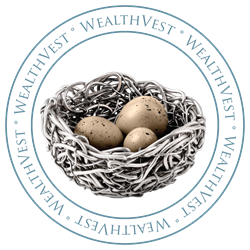 Mr. DeMale comes to WealthVest with a long track record of working with advisory firms to support the investment decision-making, research, and practice management functions. He joins us from Bluerock Capital Markets where he was a Senior Vice President, and has also worked as a Regional Director at Morningstar, Inc. as well as John Hancock, Calamos Investments, and Deutsche Bank. Mr. DeMale is a CFA® Charterholder and member of the CFA Society of Chicago. He holds degrees in Economics and English from Vanderbilt University in Nashville, Tennessee. He also holds an MBA from DePaul University in Chicago, Illinois. He possesses his FINRA series 7 and 66.